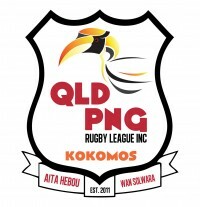 Brisbane, QLD – Best of PNG Rugby League Talent in Australia Prepares to Assemble for Kokomos Rugby League Nines Tournament. “For the third year running we are happy to be hosting ten of the hottest PNG Rugby League Nines teams in Australia, competing for championship honours and $5000 in cash. If last year’s tournament is anything to go by we are about to be treated to some fast and furious Nines football,” said Tom Adamson, President, QLD PNG Rugby League. It all kicks off at 9am on Saturday 24th September, at Bill Norris Oval, Boundary Rd, Beenleigh, Queensland, Australia. Last year’s championship winners, CDMC will return in attempt to make it back-to-back titles. The CDMC team includes former Kumuls, Steve Franciscus and Trevor Exton. It also includes the exciting Wickham brothers, Eli & Shawn who have both had extensive rep careers. 2015 Player of the Carnival, Anthony Hoepper, will also feature in their campaign for a repeat victory. The 2015 Runner’s Up, Masailes, will be campaigning to go one better this year. They are young team whose flashy and flamboyant play nearly upset the more experienced CDMC, going try for try in the final, only losing by a few points. Player to watch for the team is Willie Malala who was the top try scorer for the 2015 Kokomos 9s event. New team, Logan Central, captained by Joey Seeto, features former Kumul Josh Damon. This team also includes PNG World Cup Touch player, Ryan Endihipa and Kokomos representatives Zeb Samuels and Terence Baupua. Jonathon Kent, former u20s Canberra Raiders player, is the Vice-Captain. Another new entrant, West Papua Warriors, are coming from PNG to take part in the Nines tournament. The Warriors are captained by heavyweight boxer, Tala Kami. The multi-talented Kami will also be representing NCD as a Heavyweight in the 2016 PNG Games to be held in Kimbe in November. Western Australian Team, Red Dust returns, with excitement machine Jordan Jacob who returns from injury. Harry Lohia, after a season with the Vipers and Parramatta feeder club, Wentworthville, returns for the Hiritano Jets, featuring Kokomos rep players Jonathon Ilau and Reni Willcock. While another former Kumul, Five Eight, Glen Nami leads the O’Wan Titans. QLD PNG Rugby League Head Coach and former PNG Kumul, Elias Paiyo, will be on hand review the talent on display, to make representative selections for the QLD PNG Kokomos team to compete in the upcoming Queensland Pacific Island Cultural Carnival (QPICC) supported by the QRL. Follow all the action on the facebook page - QLD PNG Rugby League Incorporated:- Tom Adamson.